Concussions happen every day; they are caused when someone hits their head. This type of traumatic brain injury (TBI) can be a mild, isolated incident or severe and have long term implications. A football player may sustain numerous minor hits over the course of his career that could result in long term brain damage. Trymunity is dedicated to helping people with TBIs, no matter how their injury was sustained. Some concussion symptoms are obvious, while others are more subtle. They can include loss of consciousness and confusion. Nausea or vomiting may also occur. 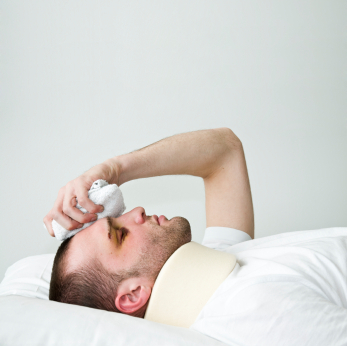 The injured individual may get headaches and experience drowsiness. They may not be able to recall the injury. Some other symptoms include insomnia, blurred vision and speech impediments. Football players and other athletes who play contact sports are very prone to receiving a concussion throughout their sports career. They can occur as the result of a big hit during a game or a series of mild ones may take place over time, which can be just as dangerous. A brain disease called chronic traumatic encephalopathy (CTE) may be the ultimate outcome. Its symptoms are similar to those of dementia and also include depression. Former NFL players, Junior Seau and Dave Duerson, both had CTE and both committed suicide. In August the NFL agreed to pay a settlement of $765 million in concussion-related compensation to former players and their families. The money will also help to fund medical research. A concussion is an often misunderstood traumatic brain injury. Connect with those who understand what you are going through by visiting community.trymunity.com to join the TryMunity community for resources and help in dealing with traumatic brain injuries.